The BridgeMaster E is a maritime navigation and surveillance radar system for commercial or military use. It is available with a choice of X-Band or S-Band antennas in an array of sizes with masthead or bulkhead transceivers. X-Band antennas are available in the sizes of 4 ft. (1.2 m), 6 ft. (1.8 m), and 8 ft. (2.4 m). The nominal vertical beamwidth is 24 degrees. S-Band antennas are available in the sizes of 9 ft. (2.7 m) or 12 ft. (3.5 m). Its nominal vertical beamwidth is 30 degrees. The pulse generator is in semiconductor technology in transceivers of both frequency bands with pulse forming network, which drives a magnetron. BridgeMaster E has evolved from Decca’s track record of over 50 years of commercial marine radar technology. Since its introduction in 1999, BridgeMaster E has been supplied to all the major navies and coast guards around the world including the UK Royal Navy, US Navy and French Navy. 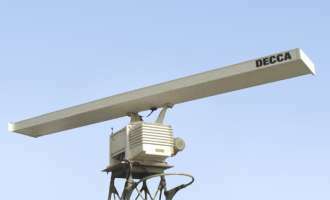 A BridgeMaster variant has been adopted by the UK Royal Navy as the Type 1008 navigation radar. In 2006 the VisionMaster FT series of marine radars replaced the aging BridgeMaster E series.